You go through life not even thinking about how your immune system works every day to keep you safe. How it works to help you recover from a cold or the flu. How it helps your body fight off infection when you fall and scrape your knee. You take it for granted until you wake up one day and realize your immune system stopped doing its job. For the millions of people living with autoimmune conditions, this is their reality. Your body becomes your own worst enemy. Each condition targeting a different area of the body — attacking your healthy joints, tissues and organs and mistaking them as an invader to your own body. Hashimoto’s thyroiditis came first. Gastroparesis soon followed, and not too far behind were psoriatic arthritis and Crohn’s disease. Dealing with multiple illnesses at once is physically and emotionally draining. There’s no way to properly describe what it feels like to have your body fail you on so many levels in what are supposed to be “the prime years” of your life. Instead of going to the bar with friends for your birthday, you end up spending it at home because you physically don’t have the strength to get out of bed. You spend more holiday weekends in the hospital than you care to count. Missing out on concerts, dinners and birthday celebrations is a choice you face often. And no matter how justified your reasons are for passing on an invitation, you always feel guilty for not showing up. Autoimmune conditions fight hard against you. Often times, treatments are trial and error, and it can take months or years for you to finally see a difference. What works for one person doesn’t necessarily work for another. As discouraging and hopeless as it may feel some days, I choose to fight back. I choose to take an active role in my healthcare to create a healthier future for myself. One of the things I’ve most struggled with in the last few years is accepting my body as it is now. It can be difficult to look back on all the things I used to be able to do and not feel angry. There are days I want nothing more than to be able to go to a restaurant with friends and order anything I want — and not suffer the consequences for days after. But I remind myself these conditions do not define me. My body may now against me now in more ways than one, but I won’t be backing down any time soon. 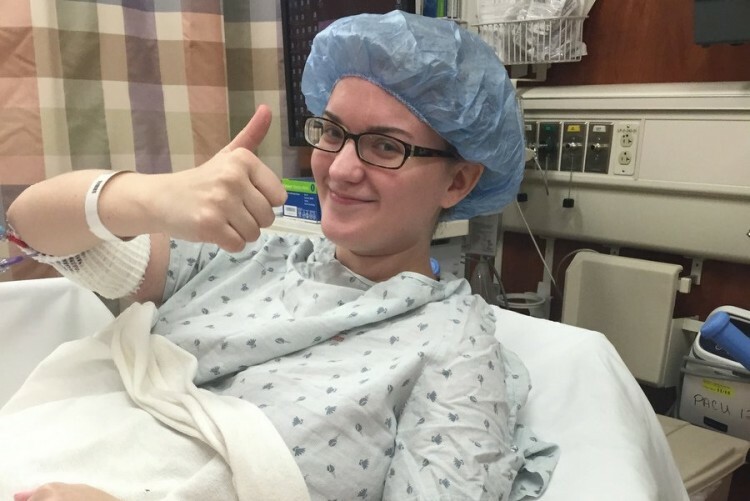 A twenty-something working every day to find the bright side of life with chronic illness.